I had to admit defeat on the bread basket, look at how awful the base is. That would never lie flat. Just so disappointed. 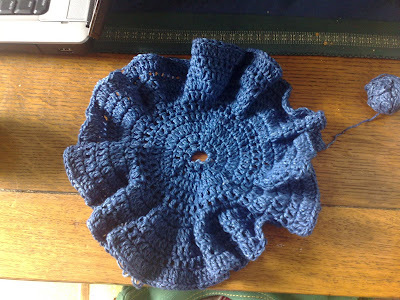 Instead, I have created my very own vase (well, it's an empty jam jar with a crocheted cover) that I will try to photograph before I give it to it's rightful owner. Scarlett (aka The Loon) is so much fun I can't wait for her to wake up in the mornings - yes honestly. She is chatting away: 'that one', 'veef' (teeth), 'no' (nose) as well as the continual chant of 'dooooh' (dog). Sometimes she makes me laugh so much I think I might forget to breathe. 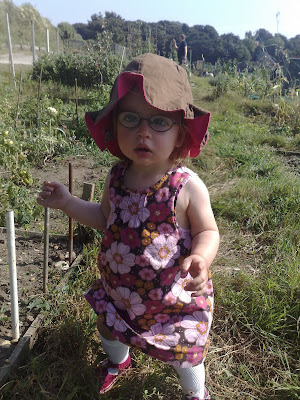 Sometimes I can't believe we have made someone so cute and lovely. Sometimes I look at her and just want to cry. 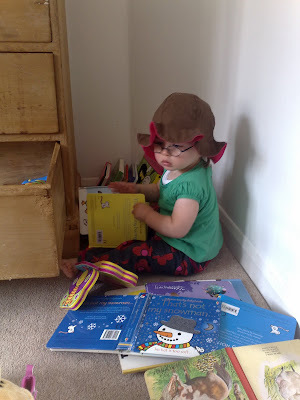 She's such a little character; she likes nothing more than sitting in a corner reading her books whilst wearing a hat .. 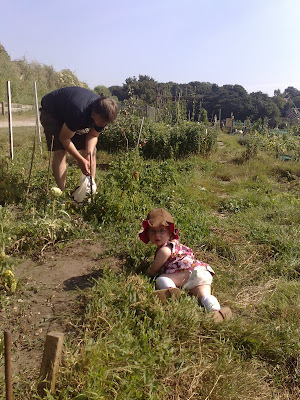 The allotment is keeping us busy and happy. For supper tonight I made a ratatouille using courgettes, tomatoes, onions and garlic grown by us and an aubergine grown by a work colleague. 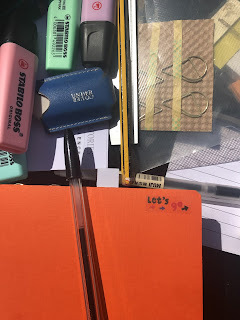 Lovely (and oh so good for the diet - 6 pounds lost so far). 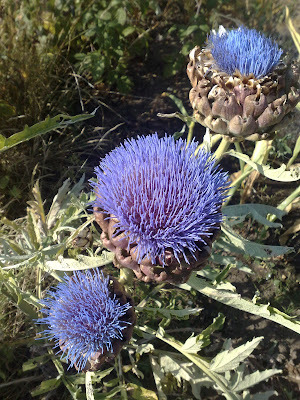 This is a globe artichoke - I know, amazing! She won't thank me for the long white socks if she ever sees this photos when she is older but after the bites her father suffered in this environment they were precautionary! On the gambling front - not so good. £2 down and looks like it will be £3 in 30 minutes time as Ipswich losing to Crystal Palace TWO nil as I type (the bet was Ipswich to win 3-2 but I have to be realistic).